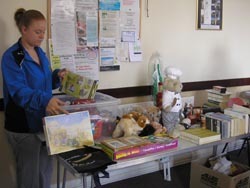 A Macmillan Cancer Coffee Morning took place in Beckingham on Saturday 24th September. Organised by Mrs Marion Brown it was held in the Recreation Room on a bright and sunny morning. Tea, coffee and biscuits were served all morning along with a warm welcome in a friendly atmosphere. 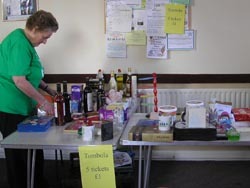 The stalls included tombola, bric-a-brac and the ever popular cakes. There were two raffles, one for a lovely variety of donated prizes. 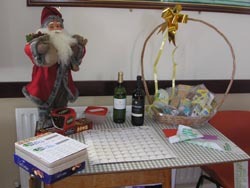 The other separate bingo raffle was for a rather delightful and much admired Father Christmas figure and a tasty food hamper. There was also a Phoenix Trading stall by Caroline Thomas with a selection of their products for sale. It was, as always, very well attended. Thanks go to Marion for all the hard work and effort and to everyone who helped organise, donated and supported this worthy cause. The amount raised from this years event was £700.15p. Individuals and businesses who generously donated included, Trish & David Lewis Beckingham Shop and Post Office, Southwell Race Course, Boots, Salts Healthcare Birmingham, Brash & Co. Ltd., Wilkinson Helping Hands, Lincolnshire Co-op, Bella Fiore Beauty Salon, Hair by Alex, Wayne Howe Butchers of Misterton, EDF Energy and many others. Click here for a link to the Macmillan website.